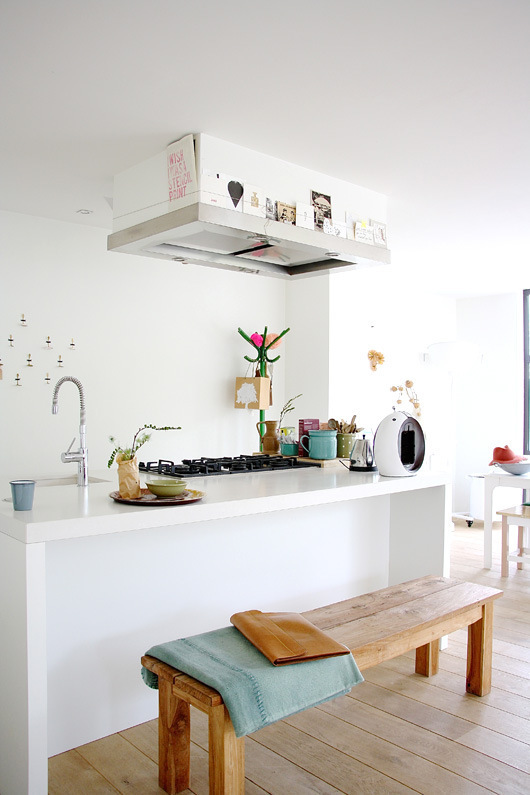 Call me a purist, but I love an all white kitchen. Maybe it's because it feels so clean. Maybe it's because it takes 40 to 50% less energy to light than it does a dark one. Or maybe it's because food just looks better with a white background. (Think about it: almost all restaurants use white plates.) Whatever the reason, you can be sure that when I redo my own kitchen, I'll be doing all white countertops and cabinets. Until then, I'll be stockpiling images for inspiration. Following are some of my favorites. In compiling these I noticed a few things. One: all white kitchens can feel really stark. The way to avoid this is to mix in some natural, warmth-inducing elements. 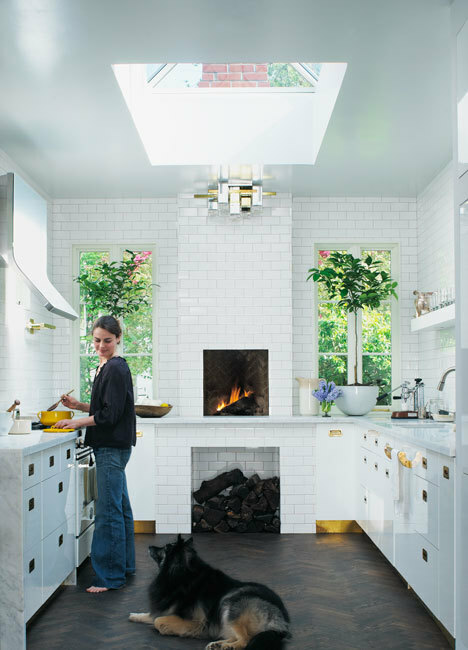 Brass hardware, colorful art, a stack of books or a wood stove hood: they go a long way towards making these rooms feel both friendly and personal. Two: all white kitchens look good with both stainless or white appliances. Since white ones are often less costly than stainless--and easier to keep fingerprint free--you may want to consider them. And finally: all of these spaces benefit from a bit of shine. Whether that comes from the countertop, backsplash or hardware, a dose of gloss helps make everything feel exciting and refined. It provides some contrast too, in a room that is consciously without it in terms of color. 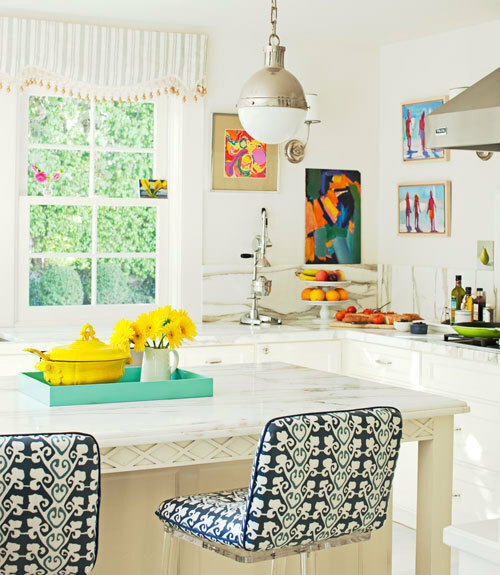 So ditch those wood cabinets and ante up for something brighter. It will make your kitchen a place you love to be, even if you don't like to cook.